 E. Bermejo, M. Chica, S. Damas, S. Salcedo, O. Cordón. Mono-modal Medical Image Registration with Coral Reef Optimization. 13th International Conference on Hybrid Artificial Intelligent Systems (HAIS 2018). Lecture Notes in Artificial Intelligence 10870, Oviedo (Spain), 222-234, June 20-22, 2018. A. Valsecchi, E. Bermejo, S. Damas, O. Cordón. Metaheuristics for Medical Image Registration. In: R. Martí, P.M. Pardalos, M.G.C. Resende (eds. ): Handbook of Heuristics, Springer, 2018, 1079-1101. ISBN 978-3-319-07123-7. O. Gómez, O. Ibáñez, A. Valsecchi, O. Cordón, T. Kahana. Soft Computing and Computer Vision for Comparative Radiography in Forensic Identification. Congreso: 6th annual meeting of the International Society for Forensic Radiology and Imaging (ISFRI) and the 12th Anniversary Meeting of the International Association of Forensic Radiographers (IAFR), Odense (Denmark), May 11–13, 2017. P. Villar, I. Alemán, L. Castillo, S. Damas, O. Cordón. A First Approach to a Fuzzy Classification System for Age Estimation based on the Pubic Bone. IEEE International Conference on Fuzzy Systems 2017 (FuzzIEEE 2017), Naples (Italy), July 9-12, 2017. J. Santamaría, E. Bermejo, C. Enríquez, S. Damas, O. Cordón. New Application of 3D VFH Descriptors in Archaeological Categorization: A Case Study. ternational Joint Conference SOCO'17-CISIS'17-ICEUTE'17, León (Spain), 229-236, September 6-8, 2017. C. Zarco, S. del Barrio-García, O. Cordón. Propuesta de Rankings de Universidades Españolas en Redes Sociales. El Profesional de la Información 25:4 (2016) 684-698. K. Trawinski, O. Cordón. A Network-based Approach for Diversity Visualization of Fuzzy Classifier Ensembles. Proc. 2016 IEEE International Conference on Fuzzy Systems (FuzzIEEE2016), IEEE World Congress on Computational Intelligence (WCCI 2016), Vancouver (Canada), 923-930, 24-29 July, 2016. J.F. Robles, M. Chica, O. Cordón. Incorporating Awareness and Genetic-based Viral Marketing Strategies to a Consumer Behavior Model. Proc. 2016 IEEE International Conference on Evolutionary Computation (CEC2016), IEEE World Congress on Computational Intelligence (WCCI 2016), Vancouver (Canada), 5178-5185, 24-29 July, 2016. J.F. Robles, M. Chica, O. Cordón. Algoritmos Genéticos para estrategias de marketing en un modelo de comportamiento de consumo. XI Congreso Español sobre Metaheurísticas, Algoritmos Evolutivos y Bioinspirados (MAEB 2016), Quinto Congreso Español de Informática (CEDI 2016), Salamanca (España), 69-80, Septiembre 2016. J. Castro, O. Cordón, L. Martínez. CLG-REJA: A Consensus Location-aware group recommender system for Restaurants. RecSys'15, TouRS'15 workshop, 16-20 September 2015, Viena, Austria. C. Campomanes-Alvarez, O. Ibáñez, O. Cordón. Modeling the consistency between the bony and facial chin outline in craniofacial superimposition. 16th World Congress of the International Fuzzy Systems Association (IFSA)(2015) 1612-1619. O. Cordón. Some of My Memories with Enric Trillas during the Last 20 Years: A Small Tribute to an Outstanding Researcher and an Even Better Person. Accuracy and Fuzziness. A Life in Science and Politics. A Festschrift book to Enric Trillas Ruiz (2015) 191-205. ISBN: 978-3-319-18605-4. E. Lacovic, M. Chica, S. Damas, J. Bautista, O. Cordón. A refined GRASP algorithm for the extended car sequencing problem. Conference: X Congreso Español de Metaheurísticas, Algoritmos Evolutivos y Bioinspirados - MAEB 2015, At Mérida-Almendralejo (Spain), Volume: 1 pp. 265 - 272. E. Bermejo, A. León, S. Damas, O. Cordón. Registrado evolutivo de fragmentos craneales en 3D mediante Scatter Search. X Congreso Español de Metaheurísticas, Algoritmos Evolutivos y Bioinspirados - MAEB 2015, At Mérida-Almendralejo (Spain), Volume: 1 pp. 91 - 96. P. Shelokar, A. Quirin, O. Cordón. Three-Objective Subgraph Mining using Multiobjective Evolutionary Programming. Journal of Computer and System Sciences 80:1 (2014) 16-26. J.M. García-Torres, S. Damas, O. Cordón, J. Santamaría. A case study of innovative population-based algorithms in 3D modeling: Artificial bee colony, biogeography-based optimization, harmony search. Expert Systems with Applications 41:4 (2014) 1750-1762. J. Barranquero, M. Chica, O. Cordón, S. Damas. Detecting key variables in system dynamics modelling by using social network metrics. Proc. International Conference on Artificial Economics (IAE 2014), Barcelona (Spain), 1-5 September, 2014, Lecture Notes in Economics and Mathematical Systems 676, 207-217. B.R. Campomanes-Álvarez, O. Ibáñez, F. Navarro, I. Alemán, M. Botella, S. Damas, O. Cordón. Computer Vision and Soft Computing for Automatic Skull-Face Overlay in Craniofacial Superimposition. Forensic Science International 245 (2014) 77-86. J. M. Alonso, D. P. Pancho, O. Cordón, A. Quirin, L. Magdalena. Social network analysis of co-fired fuzzy rules. Soft Computing: State of the Art Theory and Novel Applications, R.R. Yager, A.M. Abbasov, M.Z. Reformat, S.N. Shahbazova (Eds. ), Studies in Fuzziness and Soft Computing, Springer, Volume 291, 2013, 113-128. M. Chica, O. Cordón, S. Damas, J. Bautista. A multiobjective genetic algorithm and robustness information function for time and space assembly line balancing. In Proceedings of the 15th National Conference of the Spanish Association for Artificial Intelligence (CAEPIA 2013), Madrid (Spain), 17-20 September, pp. 453-462. M. Chica, O. Cordón, S. Damas, J. Bautista. NTIGen: a Software for Generating Nissan Based Instances for Time and Space Assembly Line Balancing . In Proceedings of the 7 th International Conference on Industrial Engineering and Industrial Management (CIO 2013), Valladolid (Spain), 10-12 July, pp. 281-288. J. Santamaría, S. Damas, O. Cordón, A. Escámez. Self-adaptive evolution: towards new parameter free image registration methods. IEEE Transactions on Evolutionary Computation 17:3 (2013) 545-557. N. Bova, O. Ibáñez, O. Cordón. Image segmentation using Extended Topological Active Nets optimized by Scatter Search. IEEE Computational Intelligence Magazine 8:1 (2013) 16-32. E. Bermejo, O. Cordón, S. Damas, J. Santamaría. Quality time-of-flight range imaging for feature-based registration using bacterial foraging. Applied Soft Computing 13:6 (2013) 3178–3189. K. Trawinski, O. Cordón, L. Sánchez, A. Quirin. A Genetic Fuzzy Linguistic Combination Method for Fuzzy Rule-Based Multiclassifiers. IEEE Transactions on Fuzzy Systems 21:5 (2013) 950-965. D.P. Pancho, J.M. Alonso, O. Cordón, A. Quirin, L. Magdalena. FINGRAMS: Visual Representations of Fuzzy Rule-Based Inference for Expert Analysis of Comprehensibility. IEEE Transactions on Fuzzy Systems 21:6 (2013) 1133-1149. M. Chica, O. Cordón, S. Damas, J. Bautista. A robustness information and visualization model for time and space assembly line balancing under uncertain demand . International Journal of Production Economics 145 (2013), 761-772 . K. Trawinski, O. Cordón, A. Quirin. Random Oracles Fuzzy Rule-Based Multiclassifiers for High Complexity Datasets. Proc. 2013 IEEE International Conference on Fuzzy Systems (FuzzIEEE2013), 2013. K. Trawinski, O. Cordón, A. Quirin. On Applying Random Oracles to Fuzzy Rule-Based Classifier Ensembles for High Complexity Datasets. Proc. Eigth International Conference of the European Society for Fuzzy Logic and Technology (EUSFLAT-2013), Milan (Italy), 11-13 September, 2013, pp. 605-612. B.R. Campomanes-Álvarez, O. Cordón, S. Damas. Evolutionary multi-objective optimization for mesh simplification of 3D open models. Integrated Computer-Aided Engineering 20:4 (2013) 375-390. J. Rada-Vilela, M. Chica, O. Cordón, S. Damas. A comparative study of multi-objective ant colony optimization algorithms for the time and space assembly line balancing problem. Applied Soft Computing 13:11 (2013), 4370-4382. N. Bova, O. Ibáñez, O. Cordón. Extended Topological Active Nets. Image and Vision Computing 31(12) (2013) 905-920. K. Trawinski, O. Cordón, L. Sánchez, A. Quirin. Multiobjective Genetic Classifier Selection For Random Oracles Fuzzy Rule-Based Classifier Ensembles: How Beneficial Is The Additional Diversity?. Knowledge-based Systems 54 (2013) 3-21. O. Cordón, K. Trawinski. A Novel Framework to Design Fuzzy Rule-based Ensembles using Diversity Induction Methods and Evolutionary Algorithm-based Classifier Selection and Fusion. Proc. International Work Conference on Artificial Neural Networks (IWANN2013), Tenerife (Spain), 11-14 June 2013, Lecture Notes in Computer Science 7902, pp. 36-58. N. Bova, O. Ibáñez, O. Cordón,. Local and Global optimization of Extended Topological Active Nets for Image Segmentation. Proceedings of the International Conference on Medical Imaging using bio-inspired and soft computing (2013), 123-130. O. Cordón. A Historical Review of Mamdani-Type Genetic Fuzzy Systems. Combining Experimentation and Theory, E. Trillas, P.P. Bonissone, L. Magdalena, J. Kacprzyk (Eds. ), Studies in Fuzziness and Soft Computing Series, Springer, Volume 271, 2012, 73-90. M. Chica, O. Cordón, S. Damas, J. Bautista. Multiobjective memetic algorithms for time and space assembly line balancing. Engineering Applications of Artificial Intelligence 25:2 (2012) 254–273. K. Trawinski, O. Cordón, A. Quirin. A Study on the Use of Multiobjective Genetic Algorithms for Classifier Selection in FURIA-based Fuzzy Multiclassifiers. International Journal of Computational Intelligence Systems 5:2 (2012) 231-253. S. Damas, O. Cordón, O. Ibáñez, C. Peña, R. Del Coso. New methodologies and protocols of forensic identification by craniofacial superimposition. In Proceedings of the 6th European Academy of Forensic Science Conference (EAFS 2012), The Hague (Netherlands), August 20-24, pp. 359-359. O. Cordón, S. Damas, O. Ibáñez, I. Alemán, M. Botella, F. Navarro. Automatic craniofacial superimposition based on soft computing and computer vision . In Proceedings of the 6th European Academy of Forensic Science Conference (EAFS 2012), The Hague (Netherlands), August 20-24, pp. 227-227. J. Santamaría, S. Damas, J.M. García-Torres, O. Cordón. Self-adaptive evolutionary image registration using differential evolution and artificial immune systems. Pattern Recognition Letters 33:16 (2012) 2065-2070. P. Shelokar, A. Quirin, O. Cordón. Automatic Extraction of Common Research Areas in World Scientograms using the Multiobjective Subdue Algorithm. Proc. 2012 IEEE International Conference on Evolutionary Computation (CEC2012), IEEE World Congress on Computational Intelligence (WCCI 2012), Brisbane (Australia), 10-15 June, 2011, 755-762. B.R. Campomanes-Álvarez, S. Damas, O. Cordón. Mesh Simplification for 3D Modeling using Evolutionary Multi-Objective Optimization. Proc. 2012 IEEE International Conference on Evolutionary Computation (CEC2012), IEEE World Congress on Computational Intelligence (WCCI 2012), Brisbane (Australia), 10-15 June, 2012, 2661-2668.
 .	J.M. Alonso, D.P. Pancho, O. Cordón, A. Quirin, L. Magdalena. Fingrams: Una Nueva Herramienta para Análisis Visual de Sistemas Fuzzy. Actas de XVI Congreso Español Sobre Tecnologías y Lógica Fuzzy (ESTYLF 2012), Valladolid, February 2012, 585-590. K. Trawinski, O. Cordón, A. Quirin, L. Sánchez. Introducing a Genetic Fuzzy Linguistic Combination Method for Bagging Fuzzy Rule-Based Multiclassification Systems. Actas de XVI Congreso Español Sobre Tecnologías y Lógica Fuzzy (ESTYLF 2012), Valladolid, February 2012, 342-347. M. Chica, O. Cordón, S. Damas, J. Bautista. Análisis del NSGA-II para el TSALBP-1/3 cuando existe variación de demanda en una producción mixta. Actas del VIII Congreso Español sobre Metaheurísticas, Algoritmos Evolutivos y Bioinspirados (MAEB 2012), Albacete, February 2012, 759-765. N. Bova, O. Ibáñez, O. Cordón. Optimización de Mallas Topológicas Activas: una aproximación basada en Scatter Search. Actas del VIII Congreso Español sobre Metaheurísticas, Algoritmos Evolutivos y Bioinspirados (MAEB 2012), Albacete, February 2012, 503-510. B.R. Campomanes-Álvarez, S. Damas, O. Cordón. Algoritmo Evolutivo Multi-Objetivo basado en Simplificación de Mallas para el Modelado 3D. Actas del VIII Congreso Español sobre Metaheurísticas, Algoritmos Evolutivos y Bioinspirados (MAEB 2012), Albacete, February 2012, 359-366. P. Shelokar, A. Quirin, O. Cordón. Subgraph Mining in Graph-based Data using Multiobjective Evolutionary Programming. In Proceedings of the 2011 IEEE International Conference on Evolutionary Computation (CEC2011), New Orleans (USA), 5-8 June, pp. 1730-1737, 2011. S. Damas, O. Cordón, O. Ibáñez, J. Santamaría, I. Alemán, MC. Botella, F. Navarro. Forensic identification by computer-aided craniofacial superimposition: a survey. ACM Computing Surveys 43:4 (2011) 27:1-27:27. M. Chica, O. Cordón, S. Damas, J. Bautista. A new diversity induction mechanism for a multi-objective ant colony algorithm to solve a real-world time and space assembly line balancing problem. Memetic Computing 3: 1 (2011) 15-24. M. Chica, O. Cordón, S. Damas, J. Bautista. Including different kinds of preferences in a multi-objective ant algorithm for time and space assembly line balancing on different Nissan scenarios. Expert Systems with Applications 38:1 (2011) 709-720. S. Damas, O. Cordón, J. Santamaría. Medical Image Registration Using Evolutionary Computation: A Survey. IEEE Computational Intelligence Magazine 6:4 (2011) 26-42. S. Damas, O. Cordón, J. Santamaría. Evaluation of Various Evolutionary Methods for Medical Image Registration. In Proceedings of the Third International Workshop on Computational Intelligence in Medical Imaging (CIMI 2011), IEEE Symposium Series on Computational Intelligence - SSCI 2011, Paris (France), 11-15 April, pp. 31-37, 2011. M. Chica, O. Cordón, S. Damas. An advanced multiobjective genetic algorithm design for the time and space assembly line balancing problem. Computers and Industrial Engineering 61:1 (2011) 103-117. J. Santamaría, O. Cordón, S. Damas. A comparative study of state-of-the-art evolutionary image registration methods for 3D modeling. 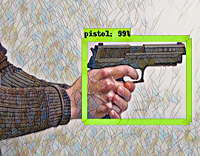 Computer Vision and Image Understanding 115:9 (2011) 1340–1354. A. Álvarez-Álvarez, G. Triviño, O. Cordón. Body Posture Recognition by means of a Genetic Fuzzy Finite State Machine. In Proceedings of the Fifth IEEE International Workshop on Genetic and Evolutionary Fuzzy Systems (GEFS 2011), IEEE Symposium Series on Computational Intelligence - SSCI 2011, Paris (France), 11-15 April, pp. 60-65, 2011. M. Chica, O. Cordón, S. Damas, J. Bautista. A multiobjective memetic ant colony optimization algorithm for the 1/3 variant of the time and space assembly line balancing problem. In Proceedings of the 2011 IEEE Workshop on Computational Intelligence in Production and Logistics Systems (CIPLS 2011), IEEE Symposium Series on Computational Intelligence - SSCI 2011, Paris (France), 11-15 April, pp. 16-22, 2011. K. Trawinski, O. Cordón, A. Quirin. A First Study on a Fuzzy Rule-Based Multiclassification System Framework Combining FURIA with Bagging and Feature Selection. In Proceedings of the World Conference on Soft Computing 2011 (WConSC 2011), San Francisco (USA), 23-26 May, pp. 167-175, 2011. J.M. Alonso, O. Cordón, A. Quirin, L. Magdalena. Analyzing Interpretability of Fuzzy Rule-based Systems by means of Fuzzy Inference-grams. In Proceedings of the World Conference on Soft Computing 2011 (WConSC 2011), San Francisco (USA), 23-26 May, pp. 181-189, 2011. M. Chica, O. Cordón, S. Damas. Tackling the 1/3 variant of the time and space assembly line balancing problem by means of a multiobjective genetic algorithm. In Proceedings of the 2011 IEEE International Conference on Evolutionary Computation (CEC2011), New Orleans (USA), 5-8 June, pp. 1367-1374, 2011. O. Ibáñez, O. Cordón, S. Damas, J. Santamaría. Modeling the skull-face overlay uncertainty using fuzzy sets. IEEE Transactions on Fuzzy Systems 19:5 (2011) 946-959. J. Santamaría, O. Cordón, S. Damas, J.M. García-Torres, F. Navarro. A Study of the Suitability of Evolutionary Computation in 3D Modeling of Forensic Remain. XIV Conferencia de la Asociación Española para la Inteligencia Artificial (CAEPIA 2011), LNAI 7023, November 7-11 (2011), pp. 293-302. E. Serrano, J.A. Botia, J.M. Cadenas, A. Quirin, O. Cordón. Analysis by Pathfinder Networks, Improving the Clustering Approach. Chapter 5 of Advancing the state of the art in the analysis of multi-agent systems: Study and Development of Methods and Tools for Testing, Validation and Verification of Multi-Agent Systems, Lambert Academic Publishing, 2011, 61-90. O. Cordón, A. Quirin. Comparing Two Genetic Overproduce-and-choose Strategies for Fuzzy Rule-based Multiclassification Systems Generated by Bagging and Mutual Information-based Feature Selection. International Journal of Hybrid and Intelligent Systems 7:1 (2010) 45-64. E. Serrano, A. Quirin, J. Botia, O. Cordón. Debugging complex software systems by means of pathfinder networks. Information Sciences 180:5 (2010) 561-583. O. Ibáñez, O. Cordón, S. Damas, J. Santamaría. Uso de Marcadores Difusos para Solucionar el Problema de la Coplanaridad en la Calibración de la Cámara en 3D. Aplicación en Identiﬁcación Forense por Superposición Craneofacial. En actas de XV Congreso español sobre tecnologías y lógica fuzzy (ESTYLF 2010), 3-5 Febrero, Huelva (España), 501-506, 2010. A. Quirin, O. Cordón. 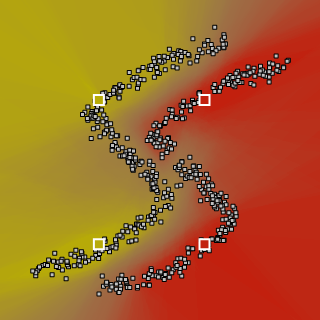 Vmap-Layout, A Layout Algorithm for Drawing Scientograms. In: A. Abraham, A.E. Hassanien and V. Snásel (Eds): Computational Social Networks Analysis: Trends, Tools and Research Advances (Computer Communications and Networks series), Springer (2010) 241-266. A. Quirin, O. Cordón, B. Vargas-Quesada, F. de Moya-Anegon. Graph-based Data Mining: A New Tool for the Analysis and Comparison of Scientific Domains Represented as Scientograms. Journal of Informetrics 4:3 (2010) 291-312. M. Chica, O. Cordón, S. Damas, J. Bautista. A multiobjective GRASP for the 1/3 variant of the time and space assembly line balancing problem. In Proceedings of the Twenty Third International Conference on Industrial, Engineering & Other Applications of Applied Intelligent Systems (IEA-AIE 2010), 1-4 June, Cordoba (Spain), Lecture Notes in Artificial Intelligence (LNAI) 6098, 656–665, 2010. J. Santamaría, O. Cordón, S. Damas, R. Martí, R.J. Palma. GRASP & Evolutionary Path Relinking for Medical Image Registration based on Point Matching. In Proceedings of the IEEE Congress on Evolutionary Computation 2010 (CEC 2010), Barcelona (Spain), July 18-23, 2757-2764, 2010. M. Chica, O. Cordón, S. Damas, J. Bautista. Adding diversity to two multiobjective constructive metaheuristics for time and space assembly line balancing. In: S. Lee, R. Suarez, B. Choi (Eds): Frontiers of assembly and manufacturing, Springer, 211-226, 2010. P. Shelokar, A. Quirin, O. Cordón. A Multiobjective Variant of the Subdue Graph Mining Algorithm based on the NSGA-II Selection Mechanism. In Proceedings of the IEEE Congress on Evolutionary Computation 2010 (CEC 2010), Barcelona, Spain, 18-23 July, 463-470, 2010. L. Sánchez, O. Cordón, A. Quirin, K. Trawinski. Introducing a Genetic Fuzzy Linguistic Combination Method for Bagging Fuzzy Rule-Based Multiclassification Systems. Fourth International Workshop on Genetic and Evolving Fuzzy Systems (GEFS 2010), Mieres (Spain), 75-80, March 2010. A. Quirin, O. Cordón, P. Shelokar, C. Zarco. Analysis of the Time Evolution of Scientograms Using the Subdue Graph Mining Algorithm. Proc. Thirteenth International Conference on Information Processing and Management of Uncertainty in Knowledge-based Systems (IPMU2010), Dortmund (Germany), June 28 – July 2, 2010, LNAI 6178, 310-319. M. Chica, O. Cordón, S. Damas, J. Bautista. Multiobjective constructive heuristics for the 1/3 variant of the time and space assembly line balancing problem: ACO and random greedy search. Information Sciences 180 (2010) 3465–3487. J. Santamaría, O. Cordón, S. Damas, R. Martí, R.J. Palma. Hibridación entre GRASP y Path relinking para abordar problemas de registrado de imágenes médicas 3D. En actas de VII Congreso Español sobre Metaheurísticas, Algoritmos Evolutivos y Bioinspirados (MAEB 2010), 7-10 Septiembre, Valencia, pp. 593-600, 2010. M. Chica, O. Cordón, S. Damas, J. Bautista. Incorporando preferencias basadas en EMO a un algoritmo ACO multiobjetivo para el equilibrado de líneas de montaje considerando tiempo y espacio. En actas de VII Congreso Español sobre Metaheurísticas, Algoritmos Evolutivos y Bioinspirados (MAEB 2010), 7-10 Septiembre, Valencia, pp. 277-284, 2010. J. Santamaría, O. Cordón, S. Damas, O. Ibáñez. Registrado 3D-2D para el solapamiento cráneo-cara en superposición craniofacial mediante CMA-ES. En actas de III Simposio de Inteligencia Computacional (SICO’2010), 7-10 Septiembre, Valencia (España), pp. 171-178, 2010. O. Cordón, S. Damas, R. del Coso, O. Ibáñez, C. Peña. A Survey on the Research Lines of the Applications of Fuzzy Logic and Evolutionary Algorithms Research Unit at the European Center for Soft Computing. Mathware and Soft Computing 17:2-3 (2010). L. Ballerini, O. Cordón, S. Damas, J. Santamaría. Automatic 3D modeling of skulls by scatter search and heuristic features. Avineri E., Koepen M., Dahal, K., Sunitiyoso, Y., Roy, R. (Eds. ), Applications of Soft Computing. Updating the State of the Art, Springer, 159-169, 2009. O. Ibáñez, O. Cordón, S. Damas, J. Santamaría. Multimodal Genetic Algorithms for Craniofacial Superimposition. In: R. Chiong (Ed): Nature-Inspired informatics for Intelligent Applications and Knowledge Discovery: Implications in Business, Science and Engineering, IGI Global, Hershey, PA., 119-142, 2009. M. Chica, O. Cordón, S. Damas, J. Bautista, J. Pereira. Heurísticas constructivas multiobjetivo para el problema de equilibrado de líneas de montaje considerando tiempo y espacio. In Proceedings Congreso Español sobre Metaheurísticas, Algoritmos Evolutivos y Bioinspirados (MAEB09), 11-13 Febrero, Malaga (Spain), 649-656, 2009. O. Cordón, S. Damas, J. Santamaría. Revisión del estado del arte en métodos de registrado de imágenes basados en metaheurísticas. In Proceedings Congreso Español sobre Metaheurísticas, Algoritmos Evolutivos y Bioinspirados (MAEB09), 11-13 Febrero, Malaga (Spain), 495-500, 2009. J. Santamaría , O. Cordón, S. Damas, J.M. García-Torres. Evaluación del rendimiento de enfoques meméticos en la reconstrucción 3D de objetos forenses. In Proceedings Congreso Español sobre Metaheurísticas, Algoritmos Evolutivos y Bioinspirados (MAEB09), 11-13 Febrero, Malaga (Spain), 517-524, 2009. O. Ibáñez, O. Cordón, S. Damas, S. Guadarrama, J. Santamaría. A new approach to fuzzy location of cephalometric landmarks in craniofacial superimposition. 13th IFSA World Congress and 6th EUSFLAT Conference (IFSA-EUSFLAT'09), 20-24 July, Lisbon (Portugal), 195-200, 2009. M. Chica, O. Cordón, S. Damas, J. Bautista. Integration of an EMO-based preference elicitation scheme into a multi-objective ACO algorithm for time and space assembly line balancing. In Proceedings of the 2009 IEEE Symposium on Computational Intelligence in Multi-Criteria Decision Making (MCDM 2009), March 30-April 2, Nashville (USA), 157-162, 2009. O. Ibáñez, O. Cordón, S. Damas, L. Magdalena. A review on the application of hybrid artificial intelligence systems to optimization problems in operations management. In Proceedings of the Fourth International Conference on Hybrid Artificial Intelligence Systems (HAIS 2009), June 10-12, Salamanca (Spain), Lecture Notes in Artificial Intelligence 5572, 360-367, 2009 . J. Santamaría, O. Cordón, S. Damas. Un estudio sobre la aplicabilidad de la computación evolutiva al registrado de imágenes de rango. XIII Conferencia de la Asociación Española para la Inteligencia Artificial (CAEPIA'09), 9-13 Noviembre, Sevilla (Spain), 551-560, 2009. J. Santamaría, O. Cordón, S. Damas, O. Ibáñez. Tackling the coplanarity problem in 3D camera calibration by means of fuzzy landmarks: a performance study in forensic craniofacial superimposition. In proceedings of the 12th International Conference on Computer Vision (ICCV'09), IEEE International Workshop on 3-D Digital Imaging and Modeling (3DIM'09), 3-4 October, Kyoto (Japan), 1686-1693, 2009. J. Santamaría, O. Cordón, S. Damas, O. Ibáñez. 3D-2D Image Registration in Medical Forensic Identification using Covariance Matrix Adaptation Evolution Strategy. In proceedings of the 9th International Conference on Information Technology and Applications in Biomedicine (ITAB'09), 5-7 November, Larnaca (Cyprus), 1-4, 2009. M. Chica, O. Cordón, S. Damas, and J. Bautista. Adding diversity to a multiobjective ant colony algorithm for time and space assembly line balancing. In Proceedings of the 2009 IEEE International Symposium on Assembly and Manufacturing (ISAM 2009), November 17-20, Suwon (Korea), 364-369, 2009. A. Quirin, O. Cordón. A Space-Based Layout Algorithm for the Drawing of Co-citation Networks. In Proceedings of the International Conference on Computational Aspects of Social Networks (CASON 2009), 24-27 June, Fontainebleau (France), 65-72, 2009. K. Trawinski, A. Quirin, O. Cordón. Bi-criteria Genetic Selection of Bagging Fuzzy Rule-based Multiclassification Systems. In Proceedings of the 13th IFSA World Congress and 6th EUSFLAT Conference (IFSA-EUSFLAT'09), 20-24 July, Lisbon (Portugal), 1514-1519, 2009. K. Trawinski, A. Quirin, O. Cordón. On the Combination of Accuracy and Diversity Measures for Genetic Selection of Bagging Fuzzy Rule-based Multiclassification Systems. 9th International Conference on Intelligent Systems Design and Applications (ISDA 2009), 30 November-2 December, Pisa (Italy), 121-127, 2009. M. Chica, O. Cordón, S. Damas, J. Bautista, J. Pereira. A multiobjective ant colony optimization algorithm for the 1/3 variant of the time and space assembly line balancing problem. Proc. of the 12th Intl. Conference on Information Processing and Management of Uncertainty in Knowledge-Based Systems (IPMU'08), Malaga (Spain), 1454-1461, June 22-27, 2008. L. Ballerini, M. Calisti, O. Cordón, S. Damas, J. Santamaría. Automatic Feature Extraction from 3D Range Images of Skulls. In Proceedings of the 2nd International Workshop on Computational Forensics (IWCF2008), Washington DC (EEUU), August 7-8, Lecture Notes in Computer Science 5158, 58-69, 2008. O. Cordón, A. Quirin and L. Sánchez. A First Study on Bagging Fuzzy Rule-based Classification Systems with Multicriteria Genetic Selection of the Component Classifiers. 3rd International Workshop on Genetic and Evolving Fuzzy Systems (GEFS 2008) pp. 11-16 Witten-Bommerholz (Germany), March 2008. M. Chica, O. Cordón, S. Damas, J. Pereira, J. Bautista. Incorporating Preferences to a Multi-objective Ant Colony Algorithm for Time and Space Assembly Line Balancing. Proc. of Sixth International Conference on Ant Colony Optimization and Swarm Intelligence (ANTS 2008), September 22-24, Brussels (Belgium), Lecture Notes in Computer Sciences 5217, 331-338, 2008. O. Ibáñez, O. Cordón, S. Damas, J. Santamaría. Superposición craneofacial basada en algoritmos genéticos y localización difusa de puntos de referencia cefalométricos. In Proceedings XIV Congreso español sobre tecnologías y lógica fuzzy (ESTYLF 2008), Langreo-Mieres (Spain) , 323-329, 17-19 September, 2008. O. Ibáñez, O. Cordón, S. Damas, J. Santamaría. Craniofacial superimposition based on genetic algorithms and fuzzy location of cephalometric landmarks. In Proceedings Third International Workshop in Hybrid Aritificial Intelligence Systems (HAIS 2008), September 24-26, Burgos (Spain), Lecture Notes in Artificial Intelligence 5271, 599-607, 2008. O. Cordón, A. Quirin and L. Sánchez. On the use of Bagging, Mutual Information-based Feature Selection and Multicriteria Genetic Algorithms to Design Fuzzy Rule-based Classification Ensembles. Proceedings of the Eighth IEEE International Conference on Hybrid Intelligent Systems (HIS08), Barcelona (Spain), September 10-12, 549-554, 2008. L. Ballerini, M. Calisti, O. Cordón, S. Damas, J. Santamaría. Automatic 3D skull reconstruction using invariant features. In Proceedings 5th International Conference on Soft Computing as Transdisciplinary Science and Technology (CSTST 2008), October 28-31, Cergy-Pontoise (France), 444-449, 2008. I. Alemán, MC. Botella, F. Navarro, O. Cordón, S. Damas, J. Santamaría. Identificación humana mediante superposiciónde imágenes. Una propuesta metodológica.. Cuadernos de Medicina Forense 14:53-54 (2008) 309-316. O. Cordón, S. Damas, J. Santamaría. A practical review on the applicability of different EAs to 3D feature-based image registration. In: S. Cagnoni, E. Lutton, G. Olague (Eds. ): Genetic and Evolutionary Computation in Image Processing and Computer Vision. EURASIP Book Series on SP&C, Hindawi Publishing Corporation, (2007) 241-263. J. Santamaría, O. Cordón, S. Damas. Evolutionary approaches for automatic 3D modeling of skulls in forensic identification. In Proceedings of the Ninth European Workshop on Evolutionary Computation in Image Analysis and Signal Processing, Valencia (Spain), Lecture Notes in Computer Science 4448, 415-422, 2007. J. Santamaría, O. Cordón, S. Damas, I. Alemán, M. Botella. Reconstrucción de modelos 3D en antropología forense mediante Scatter Search. In Proceedings Congreso Español sobre Metaheurísticas, Algoritmos Evolutivos y Bioinspirados (MAEB07), Tenerife (Spain), 625-633, 14-16 February 2007. C. Rubio-Escudero, O. Harari, O. Cordón, I. Zwir. Modeling genetic networks: comparison of static and dynamic models. Proceedings of the 5th European Conference on Evolutionary Computation (EvoBIO 2007), Valencia (Spain), 78-89, April 2007. O. Cordón, E.K. Anaya, A. González, S. Pinzón. Promoting the Use of ICT for Education in a Traditional University: The Case of the Virtual Learning Center of the University of Granada. Journal of Cases on Information Technology 9:1 (2007) 90-107. L. Ballerini, O. Cordón, S. Damas, J. Santamaría, I. Alemán, M. Botella. Craniofacial Superimposition in Forensic Identification using Genetic Algorithms. In Proceedings of the IEEE International Workshop on Computational Forensics (IWCF 2007), Manchester (UK), 429-434, 29-31 August 2007. L. Ballerini, O. Cordón, S. Damas, J. Santamaría. Selección Heurística en imágenes 3D para la reconstrucción forense de cráneos con búsqueda dispersa. Proceedings of the II Congreso Español de Informática (CEDI 2007). I Jornadas sobre Algoritmos Evolutivos y Metaheurísticas (JAEM'07), Zaragoza (Spain), 97-104, 11-14 September 2007. J.M. Alonso, O. Cordón, S. Guillaume, L. Magdalena. Highly Interpretable Linguistic Knowledge Bases Optimization: Genetic Tuning versus Solis-Wetts. Looking for a good interpretability-accuracy trade-off. Proceedings of the 2007 IEEE International Conference on Fuzzy Systems (FUZZ-IEEE 2007), London (UK), 901-906, 23-26 July 2007. O. Cordón, E. Herrera-Viedma, M. Luque. A Multi-Objective Genetic Algorithm for Learning Linguistic Persistent Queries in Text Retrieval Environments. In: Y. Jin (Ed. ): Multi-objective Machine Learning, Studies in Computational Intelligence Series, Vol. 16, Springer (2006) 601-627. J. Santamaría, O. Cordón, S. Damas, I. Alemán, M. Botella. 3D Forensic Model Reconstruction by Scatter Search-based Pair-wise Image Registration. In Proceedings of the IEEE International Conference on Fuzzy Systems (FUZZ-IEEE'06), Vancouver (Canada), 6006-6012, 16-21 July 2006. C. Rubio-Escudero, C. del Val, O. Cordón, I. Zwir. Decision Making Association Rules for Recognition of Differential Gene Expression Profiles. Proceedings of the 7th International Conference on Intelligent Data Engineering and Automated Learning (IDEAL06). Lecture Notes in Computer Science 4224, Springer-Verlag 2006, Burgos (Spain) 1137-1149, September 2006. O. Cordón, E. Herrera-Viedma, M. Luque. Fuzzy Linguistic Query-Based User Profile Learning by Multiobjective Genetic Algorithms. Proceedings of the 2nd International Symposium on Evolving Fuzzy Systems (EFS 2006), Lake District (UK), 261-266, September 2006. O. Cordón, S. Damas, J. Santamaría, R. Martí. Una aplicación de Scatter Search al problema del registrado de imágenes tridimensionales. Proc. IV Congreso Español de Metaheurísticas, Algoritmos Evolutivos y Bioinspirados, MAEB'05, Granada (Spain), 725-732, 2005..
 O. Cordón, S. Damas, J. Santamaría. A Scatter Search-based Optimizer for the Registration of 3D Surfaces. 2005 IEEE Congress on Evolutionary Computation, 2-5 September, Edinburg (Scotland), 2738-2744, 2005. O. Cordón, S. Damas, J. Santamaría. 3D Inter-Subject Medical Image Registration by Scatter Search. 2nd International Workshop, Hybrid Metaheuristics (HM 2005). Lecture Notes in Computer Science 3636, 90-103, 2005. O. Cordón, E. Herrera-Viedma, M. Luque, F. Moya, C. Zarco. A Realistic Information Retrieval Environment to Validate a Multi-objective GA-P Algorithm for Learning Fuzzy Queries. In: F. Hoffmann, M. Köppen, F. Klawonn, R. Roy, (Eds. ): Soft Computing: Methodologies and Applications, Advances in Soft Computing Series.Springer-Verlag, (2005), 299-309. O. Cordón, I. Fernández de Viana, F. Herrera. Análisis Estadístico de los Parámetros del Sistema de la Mejor-Peor Hormiga. In Proceedings del MAEB'04 (Tercer congreso español de Metaheurísticas, Algoritmos Evolutivos y Bioinspirados), Córdoba (Spain), 478-485, 2004. C. Rubio-Escudero, O. Cordón, I. Zwir. Identifying meaningful temporal gene expression patterns in the inflammation and the host response to injury. Affymetrix User Group Meeting, Edinburgh (UK) 2004. O. Cordón, F. de Moya, C. Zarco. Automatic Learning of Multiple Extended Boolean Queries by Multiobjective GA-P Algorithms. "Fuzzy Logic and the Internet", Loia, V., Nikravesh, M., Zadeh, L.A. (Eds. ), Springer, 137 (2004) 47 - 70. O. Cordón, S. Damas, J. Santamaría. A Scatter Search Algorithm for the 3D Image Registration Problem. 8th International Conference on Parallel Problem Solving from Nature (PPSN VIII). Lecture Notes in Computer Science 3242, 471-480, 2004. O. Cordón, S. Damas, J. Santamaría. Registrado de imágenes 3D mediante CHC. In Proceedings del MAEB'04 (Tercer congreso español de Metaheurísticas, Algoritmos Evolutivos y Bioinspirados), Córdoba (Spain), 91-97, 2004. E. Herrera-Viedma, O. Cordón, M. Luque. Improving The Performance Of Ordinal Fuzzy Linguistic IRSs. Proceedings of the XII Congreso Español sobre Tecnología y Lógica Fuzzy (ESTYLF 2004), Jaén (Spain), 509-514, 2004. C. García-Martínez, O. Cordón, F. Herrera. An Empirical Analysis of Multiple Objective Ant Colony Optimziation Algorithms for the Bi-criteria TSP. 4th International Workshop, ANTS2004, Brussels (Belgium). M. Dorigo, M. Birattari, C. Blum, L.M. Bambardella, F. Mondada, T. Stützle (Eds. ), LNCS 3172, 61-72, September 2004. O. Cordón, F. Moya, C. Zarco. Fuzzy Logic and Multiobjective Evolutionary Algorithms as Soft Computing Tools for Persistent Query Learning in Text Retrieval Environments. IEEE International Conference on Fuzzy Systems (FUZZ-IEEE 2004), Budapest (Hungary), 571-576, 2004. O. Cordón, S. Damas, J. Santamaría. Solving the 3D Image Registration Problem by Scatter Search with Path-Relinking. Proc. Institute for Operations Research and the Managment Sciences Annual Meeting. INFORMS-2004. Denver 2004. O. Cordón, E.K. Anaya. Enseñanza Virtual: Fundamentos, Perspectivas Actuales y Visión de la Universidad de Granada. Actas de las X Jornadas de Investigación en el Aula de Matemáticas. Nuevas Tecnologías de la Información y la Comunicación, Granada, 2004. C. López, V. Guerrero, F. de Moya, E. Herrera-Viedma, O. Cordón. El Papel Fundamental de las Funciones de Adaptación en la Técnicas Genéticas de Retroalimentación. Actas del II Congreso Español sobre Metaheurísticas, Algoritmos Evolutivos y Bioinspirados (MAEB03), Gijón (Spain), 194-199, February 2003. B. Carse, A.G. Pipe, I. Renners, A. Grauel, A.F. Gómez, F. Jimenez, G. Sánchez, O. Cordón, F. Herrera, F. Gomide, I. Walter, A. Gonzalez, Raul Perez. Current Issues and Future Directions in Evolutionary Fuzzy Systems Research. Proceedings of the Third Conference of the European Society for Fuzzy Logic and Technology, Zittau, 81-87, September 2003. E.K. Anaya, E. Herrera-Viedma, O. Cordón. A Study On The Creation of University Virtual Degrees in the Technological University of San Juan of Rio. Advances in Technology-based Education: Toward a Knowledge-based Society, 110-114, 2003. O. Cordón, S. Damas, E. Bardinet. Registrado de Imágenes 2D mediante Búsqueda Local Reiterada. Actas del II Congreso Español sobre Metaheurísticas, Algoritmos Evolutivos y Bioinspirados (MAEB03), Gijón (Spain), 1-8, February 2003. O. Cordón, E. Herrera-Viedma, M. Luque, F. Moya, C. Zarco. Analyzing the Performance of a Multiobjective GA-P Algorithm for Learning Fuzzy Queries in a Machine Learning Environment. International Fuzzy Systems Association World Congress (IFSA'03), Istambul (Turkey). Lect. Notes in Artificial Intelligence 2715, 611-619, 2003. O. Cordón, E. Herrera-Viedma, M. Luque. Validación de un Algoritmo de Programación Multiobjetivo para el Aprendizaje de Consultas Booleanas en un Entorno Realista de Recuperación de Información. Actas del II Congreso Español sobre Metaheurísticas, Algoritmos Evolutivos y Bioinspirados (MAEB03), Gijón (Spain), 437-444, February 2003. E.K. Anaya, E. Herrera-Viedma, O. Cordón, O. Martín, F. Martín. Designing Self-Test Exercises in Webct. Advances in Technology-Based Education: Toward a Knowledge-Based Society, 1680-1684, 2003. O. Cordón, F. Herrera, M.J. del Jesús, L. Magdalena, A.M. Sánchez, P. Villar. A Multiobjetive Genetic Algorithm for Feature Selection and Data Base Learning in Fuzzy-Rule Based Classification Systems. Intelligent System for Information Processing: From Representation to Applications, B. Bouchon-Meunier, L. Foulloy, R.R. Yager (Eds. ), Elsevier, 2003, 315-326. O. Cordón, M.J. del Jesus, F. Herrera, L. Magdalena, P. Villar. A Multiobjective Genetic Learning Process for Joint Feature Selection and Granularity and Context Learning in Fuzzy Rule-Based Classification Systems. Interpretability Issues in Fuzzy Modeling. /J./ Casillas, O. Cordón, F. Herrera, L. Magdalena. (Springer Verlag, Studies in Fuzziness and Soft Computing Vol. 128), 2003, 79-99. O. Cordón, S. Damas, J. Santamaría. A CHC Evolutionary Algorithm for 3D Image Registration. 10th International Fuzzy Systems Association World Congress (IFSA'03). Lecture Notes in Artificial Intelligence 2715, 404-411, 2003. O. Cordón, S. Damas, E. Bardinet. 2D Image registration with iterated local search. J.M. Benítez, O. Cordón, F. Hoffmann y R. Roy (Eds. ), Advances in Soft Computing. Engineering Design and Manufacturing, Springer, 2003, 233-242. O. Cordón, E. Herrera-Viedma, M. Luque, F. Moya, C. Zarco. A Realistic Information Retrieval Environment to Validate a Multi-objective GA-P Algorithm for Learning Fuzzy Queries. 8th OnlineWorld Conference on Soft Computing in Industrial Applications (WSC8), The Internet, September 2003..
 O. Cordón, E. Herrera-Viedma, M. Luque, F. Moya, C. Zarco. An Inductive Query by Example Technique for Extended Boolean Queries Based on Simulated-Annealing Programming. 7th International ISKO Conference (ISKO'2002), Granada (Spain). M.J. López-Huertas (Ed. ), Challenges in Knowledge Representation and Organization for the 21st Century. Integration of Knowledge across Boundaries, Ergon, 429-436, 2002. E. Herrera-Viedma, O. Cordón, J.C. Herrera, M. Luque. An IRS Based on Multi-Granular Linguistic Information. 7th International ISKO Conference, ISKO'2002. Granada (Spain), 372-378, 2002. O. Cordón, E. Herrera-Viedma, M. Luque. Evolutionary Learning of Boolean Queries by Multiobjective Genetic Programming. Seventh Int. Conference on Parallel Problem Solving from Nature PPSN VII 2002, Granada, (Spain). Lect. Notes in Comp. Science 2439 710-719, 2002. O. Cordón, I. Fernández de Viana, F. Herrera. Analysis of the Best-Worst Ant System and Its Variants on the QAP. Third International Workshop, ANTS2002, Brussel (Belgium), Springer Verlag, LNCS 2463, 228-234, September 2002. J.R. Cano, O. Cordón, F. Herrera, L. Sánchez. A GRASP Algorithm for Clustering. F.J. Garijo, J.C. Riquelme, M. Toro (Eds. ), Advances in Artificial Intelligence IBERAMIA 2002, Proc. 8^th Ibero-American Conference on AI, Sevilla (Spain), LNCS 2527, Springer Verlag, 214-223, November 2002. O. Cordón, F. Herrera, J. De la Montaña, A.M. Sánchez, P. Villar. A Prediction System of Cardiovascularity Diseases Using Genetic Fuzzy Rule-Based Systems. F.J. Garijo, J.C. Riquelme, M. Toro (Eds. ), Advances in Artificial Intelligence IBERAMIA 2002, Proc. 8^th Ibero-American Conference on AI, Sevilla (Spain), LNCS 2527, Springer Verlag, 381-391, November 2002. O. Cordón, F. Herrera, M.J. del Jesus, L. Magdalena, A.M. Sánchez, P. Villar. Utilización de Algoritmos Genéticos Multiobjetivo para Selección de Características y Diseño de la Base de Conocimiento de un Sistema de Clasificación Basado en Reglas Difusas. Actas XI Congreso Español Sobre Tecnologías y Lógica Fuzzy, León (Spain), 411-416, September 2002. O. Cordón, F. Herrera, F.A. Márquez, A. Peregrín. Estudio de los Métodos de Defuzzificación Adaptativos Evolutivos en Sistemas Basados en Reglas Difusas. Actas XI Congreso Español Sobre Tecnologías y Lógica Fuzzy, León (Spain), 429-435, September 2002. O. Cordón, F. Herrera, M.J. del Jesús, L. Magdalena, A.M. Sánchez, P. Villar. A Multiobjective Genetic Algorithm for Feature Selection and Data Base Learning in Fuzzy-Rule Based Classification Systems. Proceedings of the 9th International Conference on Information Processing and Management of Uncertainty in Knowledge-Based Systems (IPMU 2002). Annecy (France), 823-830, September 2002. O. Cordón, F. Herrera, J. de la Montaña, A.M. Sánchez, P. Villar. Aprendizaje evolutivo de un sistema basado en reglas difusas para la predicción de enfermedades cardiovasculares. Actas del Primer Congreso Español de Algoritmos Evolutivos y Bioinspirados, Merida (Spain), 183-190, 2002. O. Cordón, I. Fernández de Viana, F. Herrera. Análisis de las tres componentes que distinguen al sistema de la mejor peor hormiga. Actas del Primer Congreso Español de Algoritmos Evolutivos y Bioinspirados, Merida (Spain), 260-266, 2002. O. Cordón, E. Herrera-Viedma, M. Luque, F. Moya, C. Zarco. Uso de un Esquema de Nichos en un Algoritmo GA-P para el Aprendizaje Automático de Consultas Booleanas Extendidas. Primer Congreso Español de Algoritmos Evolutivos y Bioinspirados (AEB'02), Mérida (Spain), 2002, 60-66. O. Cordón, E. Herrera-Viedma, M. Luque, F. Moya, C. Zarco. Aprendizaje Automático de Consultas Booleanas Extendidas para Sistemas de Recuperación de Información Difusos Mediante Algoritmos SA-P. XI Congreso Español sobre Tecnologías y Lógica Fuzzy (ESTYLF'2002), León (Spain), 2002, 117-122. O. Cordón. Experiencias y Proyectos Futuros de Teleformación en la Universidad de Granada: El Centro de Enseñanzas Virtuales. Educando en la Sociedad Digital. Ética Mediática y Cultura de Paz, J.A. Ortega Carrillo (Ed. ), Grupo Editorial Universitario, 2002, 777-790. M. Cabrera, O. Cordón. Teleformación para Colectivos con Necesidades Educativas Especiales: Experiencias y Proyectos Futuros en la Universidad de Granada. Tecnologías de la Información en el Nivel de Formación Superior Avanzada, Asociación Universitaria Iberoamericana de Postgrado, 2002, 41-58. O. Cordón, F. Gomide, F. Herrera, F. Hoffmann, L. Magdalena. Ten Years of Genetic Fuzzy Systems: Current Framework and New Trends. Joint Nineth IFSA-NAFIPS International Conference. Vancouver (Canada), 1241-1246, July 2001. O. Cordón, M.J. del Jesus, F. Herrera, P. Villar. A Multiobjective Genetic Algorithm for Feature Selection and Granularity Learning in Fuzzy Rule-Based Classification Systems. Joint Nineth IFSA-NAFIPS International Conference. Vancouver (Canada), 1253-1258, July 2001. O. Cordón, F. Herrera, I. Zwir. Analyzing and Extending Hierarchical Systems of Linguistic Rules. Joint Nineth IFSA-NAFIPS International Conference. Vancouver (Canada), 1121-1126, July 2001. O. Cordón, M.J. del Jesus, F. Herrera, P. Villar, I. Zwir. Different Proposals to Improve the Accuracy of Fuzzy Linguistic Modeling. In: Fuzzy If-Then Rules in Computational Intelligence: Theory and Applications, E. Kerre, D. Ruan (Eds. ), Kluwer Academic Pub., 2000, 189-221. O. Cordón, I. Fernández de Viana, F. Herrera, Ll. Moreno. A New ACO Model Integrating Evolutionary Computation Concepts: The Best-Worst Ant System. Proc. of ANTS'2000. From Ant Colonies to Artificial Ants: Second Interantional Workshop on Ant Algorithms, Brussels (Belgium), 22-29, September 7-9, 2000. O. Cordón, F. Herrera, P. Villar. Aprendizaje Evolutivo de la Granularidad e las particiones Difusas y las Funciones de Pertenencia de un Sistema Basado en Reglas Difusas. X Congreso Español sobre Tecnologías y Lógica Fuzzy (ESTYLF'2000). Sevilla (Spain), 417-422, Septiembre 2000. O. Cordón, M.J. del Jesus, F. Herrera. Genetic Feature Selection in a Fuzzy Rule-Based Classification System Learning Process. Eighth International Conference on Information Processing and Management of Uncertainty in Knowledge-Bases Systems. IPMU'2000. Madrid (Spain), Vol. I, 88-95, 2000. O. Cordón, F. Herrera, L. Magdalena, P. Villar. A Genetic Learning Process for the Scaling Factors, Granularity and Contexts of the Fuzzy Rule-Based System Data Base. Eighth International Conference on Information Processing and Management of Uncertainty in Knowledge-Bases Systems. IPMU'2000. Madrid (Spain), Vol. I, 430-437, 2000. O. Cordón, F. Herrera, I. Zwir. Hierarchical Knowledge Bases for Fuzzy Rule-Based Systems. Eighth International Conference on Information Processing and Management of Uncertainty in Knowledge-Bases Systems. IPMU'2000. Madrid (Spain), Vol. III, 1770-1777, 2000. O. Cordón, F. Moya, C. Zarco. A GA-P Algorithm to Automatically Formulate Extended Boolean Queries for a Fuzzy Information Retrieval System. Mathware and Soft Computing 7:2-3 (2000) 309-322. O. Cordón, M.J. del Jesus, F. Herrera. Evolutionary Approaches to the Learning of Fuzzy Rule-Based Classification Systems. In: Evolution of Enginnering and Information Systems and Their Applications. L.C. Jain (Ed. ), CRC Press, 1999, 107-160. O. Cordón, A. González, F. Herrera, R. Pérez. Encouraging Cooperation in the Genetic Iterative Rule Learning Approach for Qualitative Modeling. Computing with Words in Intelligent/Information Systems 2. Applications, J. Kacprzyk, L. Zadeh (Eds. ), Physica-Verlag, 1999. O. Cordón, F. Herrera, Ll. Moreno. Integracion de Conceptos de Computacion Evolutiva en un Nuevo Modelo de Colonias de Hormigas. VIII Conferencia de la Asociacion Española para la Inteligencia Artificial, (Seminario Especializado en Computacion Evolutiva), Murcia (Spain), Vol. II, 98-105, Noviembre 1999. O. Cordón, F. Herrera. ALM: A Methodology for Designing Accurate Linguistic Models for Intelligent Data Analysis. 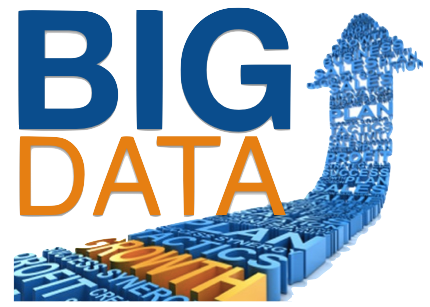 Third Intelligent Data Analysis Conference (IDA). Amsterdam (Holland). D.J. Hand, J.N. Kok. M.R. Berthold (Eds. ), LNCS no. 1642, Springer-Verlag, 15-26, August 1999. O. Cordón, F. Herrera, P. Villar. Influence of Fuzzy Partition Granularity on Fuzzy Rule-Based System Behaviour. Proc. EUSFLAT-ESTLYF Joint Conference 99, Palma de Mallorca (Spain), 159-162, September 1999. O. Cordón, F. Herrera, A. Peregrin. 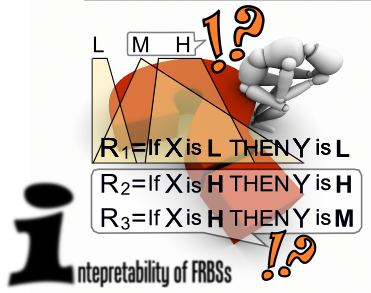 Characterisation of Implication Operators in Fuzzy Rule Based Systems from Basic Properties. Proc. EUSFLAT-ESTLYF Joint Conference 99, Palma de Mallorca (Spain), 163-166, September 1999. O. Cordón, F. Moya, C. Zarco. Learning Queries for a Fuzzy Information Retrieval System by means of GA-P Techniques. Proc. EUSFLAT-ESTLYF Joint Conference 99, Palma de Mallorca (Spain), 335-338, September 1999. O. Cordón, F. Moya, C. Zarco. Breve Estudio sobre la Aplicación de los Algoritmos Genéticos a la Recuperación de Información. Cuarto Congreso ISKO-ESPAÑA (EOCONSID IV), Granada (Spain), 1999, 179-186. O. Cordón, M.J. del Jesus, F. Herrera. Métodos de Razonamiento Aproximado Basados en el Concepto de Mayoría Difusa para Sistemas de Clasificación. VIII Congreso Español sobre Tecnologías y Lógica Fuzzy. Pamplona (Spain), 399-404, 1998. O. Cordón, F. Herrera. Una Propuesta para Mejorar la Precisión del Modelado Linguístico. VIII Congreso Español sobre Tecnologías y Lógica Fuzzy. Pamplona (Spain), 199-204, 1998. O. Cordón, F. Herrera, L. Sánchez. Computing the Spanish Medium Electrical Line Maintenance Costs by means of Evolution-Based Learning Processes. Eleventh International Conference on Industrial & Engineering Applications of Artificial Intelligence & Expert Systems (IEA-98-AIE). Castellón (Spain), LNAI, no. 1415, Springer-Verlag, 478-486, 1998. O. Cordón, A. Espín, W. Fajardo, F. Herrera, L. Sánchez. Estimación de la Longitud de Línea de Baja Tensión Mediante Técnicas Evolutivas de Análisis de Datos. Octava Reunión Nacional de Grupos de Investigación en Ingeniería Eléctrica. Cádiz (Spain), 1998. O. Cordón, F. Herrera. Identification of Linguistic Fuzzy Models by Means of Genetic Algorithms. Fuzzy Model Identification. Selected Approaches, D. Driankov, H. Hellendoorn (Eds. ), Springer Verlag, 1997, 215-250. O. Cordón, F. Herrera, L. Sánchez. Evolutionary Learning Processes for Data Analysis in Electrical Engineering Applications. Genetic Algorithms and Evolution Strategies in Computer Science and Engineering, D. Quagliarelli, J. Periaux, C. Poloni, G. Winter (Eds. ), John Wiley and Sons, 1997, 205-224. O. Cordón, F. Herrera, A. Peregrín. A Study on the Use of Implication Operators Extending the Boolean Conjunction in Fuzzy Control. Seventh International Fuzzy Systems Association World Congress (IFSA). Praga (Czech), Vol. III, 243-248, 1997. O. Cordón, M.J. del Jesus, F. Herrera, E. López. Selecting Fuzzy Rule-Based Classification Systems With Specific Reasoning Methods Using Genetic Algorithms. 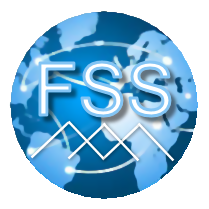 Seventh International Fuzzy Systems Association World Congress (IFSA). Praga (Czech), Vol. II, 424-429, 1997. O. Cordón, F. Herrera. Evolutionary Design of TSK Fuzzy Rule-Based Systems Using (mu,lambda)-Evolutionary Strategies. Sixth IEEE International Conference on Fuzzy Systems (FUZZ-IEEE). Barcelona (Spain), Vol. I, 509-514, 1997. O. Cordón, M.J. del Jesus, F. Herrera. Nuevos Métodos de Razonamiento en Sistemas de Clasificación Basados en Reglas Difusas. VII Congreso Español sobre Tecnologías y Lógica Fuzzy. Tarragona (Spain), 109-114, 1997. O. Cordón, F. Herrera. A Hybrid Genetic Algorithm-Evolution Strategy Process for Learning Fuzzy Logic Controller Knowledge Bases. Genetic Algorithms and Soft Computing, F. Herrera, J. L. Verdegay (Eds. ), Physica-Verlag, 1996, 251-278. O. Cordón, F. Herrera. Generating and Selecting Fuzzy Control Rules Using Evolution Strategies and Genetic Algorithms. Information Processing and Management of Uncertainly in Knowledge-Based Systems (IPMU), 733-738, 1996. O. Cordón, F. Herrera. Un Proceso Evolutivo para el Aprendizaje de Bases de Conocimiento de Controladores Difusos. VI Congreso Español sobre Tecnologías y Lógica Fuzzy. Oviedo (Spain), 89-94, 1996. O. Cordón, M.J. del Jesus, F. Herrera. Sistema de Clasificacion con Reglas Difusas Utilizando Algoritmos Geneticos. VI Congreso Español sobre Tecnologías y Lógica Fuzzy. Oviedo (Spain), 95-100, 1996. O. Cordón, F. Herrera. A General Study on Genetic Fuzzy Systems. Genetic Algorithms in Engineering and Computer Science, G. Winter, J. Periaux, M. Galan, P. Cuesta (Eds. ), John Wiley and Sons, 1995, 33-57. O. Cordón, F. Herrera, A. Peregrín. T-norms vs. Implication Functions as Implication Operators in Fuzzy Control. 6th IFSA World Conference. Sao Paulo (Brasil), Vol. I., 501-504, 1995. E. Cárdenas, J.C. Castillo, O. Cordón, F. Herrera, A. Peregrín. SCD: Una Herramienta Gráfica para el Estudio de Controladores Difusos. V Congreso Español sobre Tecnologías y Lógica Fuzzy. Murcia (Spain), 103-106, 1995. E. Cárdenas, J.C. Castillo, O. Cordón, A. Peregrín. Influencia de las T-normas en Controladores Difusos. IV Congreso Español sobre Tecnologías y Lógica Fuzzy. Blanes (Spain), 1994, 259-264. O. Cordón, A. Martínez, F. J. Peregrín. Optimización de las S-cajas en DES mediante Algoritmos Genéticos. III Reunión Española sobre Criptología. Barcelona (Spain), 1994, 109-114. E. Cárdenas, J.C. Castillo, O. Cordón, A. Peregrín. Estudio Comparativo de Sistemas de Inferencia y Métodos de Defuzzificación aplicados al Control Difuso del Péndulo Invertido. III Congreso Español sobre Tecnologías y Lógica Fuzzy. Santiago de Compostela (Spain), 1993, 259-266.